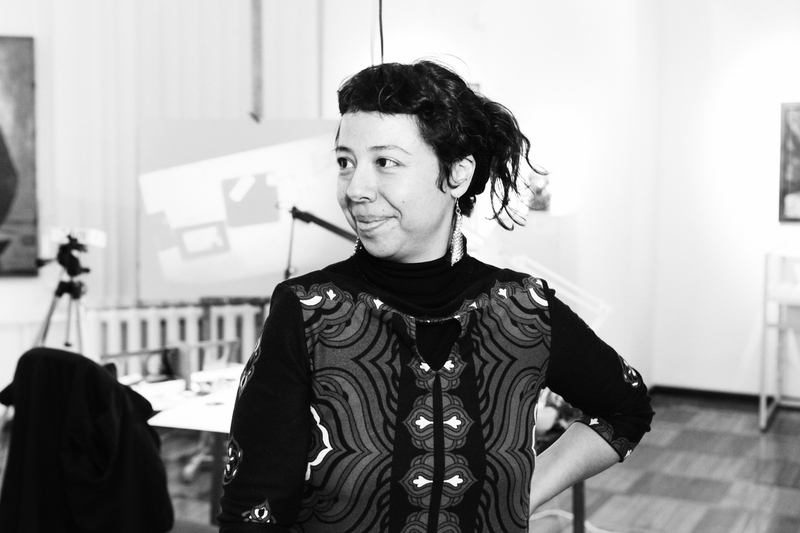 Cristina Maldonado (1974) is a Mexican artist whose background in body movement lends a unique approach to her visual and conceptual experiments with video, sound, collage and performance. Her work unifies experimental theater, dance, participatory art, new and old media. Her topics are body, communication and intimacy. She creates experiential frames connecting installation, video and live action. She works alone or in collaboration with artists from different disciplines and has recently performed in Mexico, Portugal, Poland, Armenia, Romania, Finland, Cyprus, Germany, Russia and Czech Republic. Since 2003 she has been directing various art and theater projects in Czech Republic such as Experiment in Terror, DOX Centre for Contemporary Art (2011), Theorem of Wanting, Roxy/NoD (2009), Fact, Festival 4+4 days in motion (2004), Study on Fact and Fragility, PQ (2010), Audio-witness, Honestly Old, MeetFactory (2010), Melodrama Mexicano, Transteatral Festival (2010). She has also presented her work in Museum of Contemporary Art Ex Teresa Arte Actual (MEX), Mail Art Hyperallergic Gallery New York, EstacionArte Mexican Contemporary Art Encounter, International festival of Performance Performagia (MEX), Mediations Contemporary Art Biennial (POL), Theater Osmego Dnia (POL) among others. 2013 Rutas Escénicas. Tour in Europe. 2015 Pala Fruits. Zona dynamic. Gallery Palteau, Greenhouse. Berlin. 2014 YO-YO Kravín Rural Arts, Hranice u Malče, Vysočina, Czech Republic. 2014 Divadlo na Cucky, Olomouc, Czech Republic. 2014 AGOSTO Foundation. Interdisciplinary Community. Tabor. Czech Republic. 2013 MITOS Center for Performing Art Limassol, Cyprus. 2013 AKOS ORG Art Residencies. Yerevan, Armenia. 2013 ATELIER REAL/ AND_LAB. Standing residency. Lisbon, Portugal. 2013 ALFRED VE DVORE Theater. Residency. Prague, Czech Republic. 2010 Meet Factory Gallery. Czech Republic. 2009 STANICA Art Center. Slovakia. 2007 Museum of Contemporary Art MAC8. Aguascalientes, México. 2004 CESTA Art Center. Czech Republic. Prague Quadrennial of Performance Design and Space: 2011 Selected work –Study on Fact and Fragility- by the Mexican Commission. National Institute of Fine Arts: 2010- Prize grant -Art and Pedagogue Research. Publication of Manual on Methodology of Body Communication.